China Eyes Japan. By Allen S. Whiting. 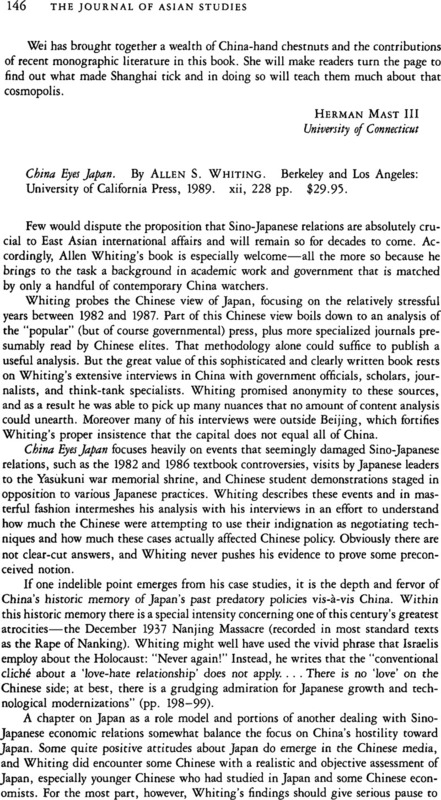 Berkeley and Los Angeles: University of California Press, 1989. xii, 228 pp. $29.95.